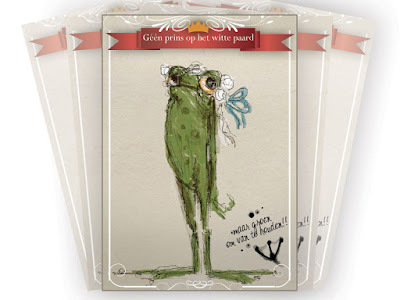 First tryout for a new line of greeting cards in fairytale-style. I'll sell these cards when there are enough cards made/printed/developed. Only one week freedom left from school, so I'm going to try pop-up cards tomorrow! Say hello to "His Royal Highness"!